As a child Dr Clarisse Loumou dreamed of being a doctor and now she is a world renowned paediatrician, founder of a Civil Society Organisation (CSO) Alternative Santé and the Gavi CSO Steering Committee representative on the Gavi Board. 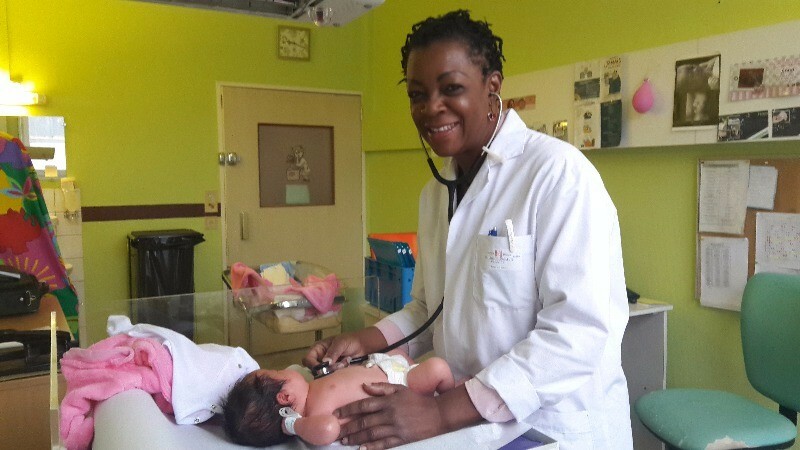 She began her career in one of the largest paediatric hospitals in Cameroon where she realised that sadly many mothers arrived too late for treatment. “I quickly learned that maternal health was a big issue for women but I was also shocked by the numbers of children dying not only because of lack of health information in the communities but also the inability of families to pay for care,” says Dr Loumou. Dr Loumou started Alternative Santé (NGO) in Cameroon because she saw it as the best way to bring solve this problem and work with women and children to get them proper mother and child services. Since joining the Gavi CSO Steering Committee in 2010, Dr Loumou has seen a great improvement in the understanding of the role that CSO play in supporting the work and aims of Gavi. CSOs are working on the ground in communities which means they provide vital feedback on the challenges and needs of implementing vaccination programs in country on a day-to-day basis. Among her achievements, Dr Loumou was instrumental in setting up the Francophone CSO Network for Vaccination and Immunization Advocacy (OAFRESS) in francophone African countries after she became aware francophone countries were almost totally absent from the Gavi CSO constituency forum. It was also clear that these countries were falling behind in vaccination coverage. Looking forward Dr Loumou sees two main focuses for the CSOs when working with Gavi which are the enhancement of routine immunization – we need to walk the talk and reach global country targets – and countries need to step up and increase their health financing so that progress are sustainable. Since her early days as a young paediatrician Dr Loumou has become as a mother of three daughters who are regular reminders on the importance of child health and that motherhood is a complete life lesson.